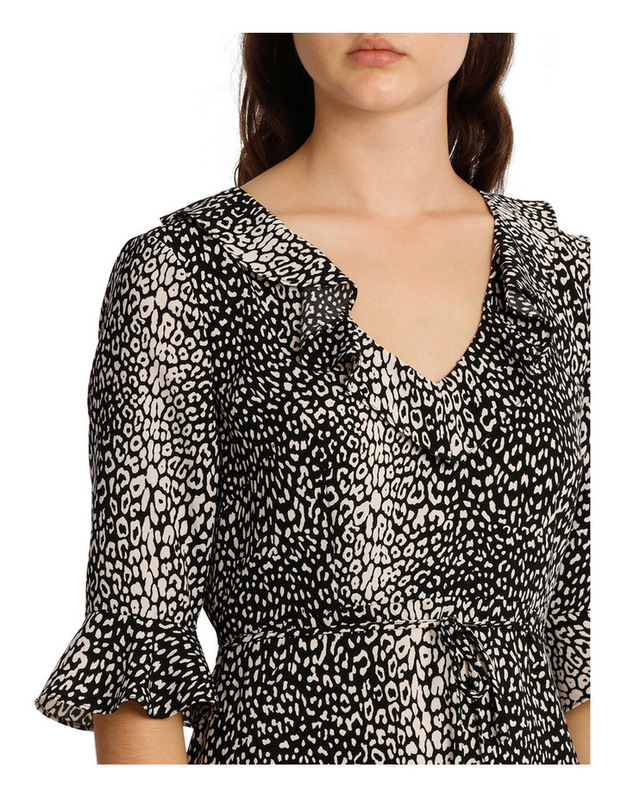 Tokito Frill Neck Dress with Waist Tie - Animal Print. Dress assorted. Style no: TW18629/A. Fabrication: 100% polyester.